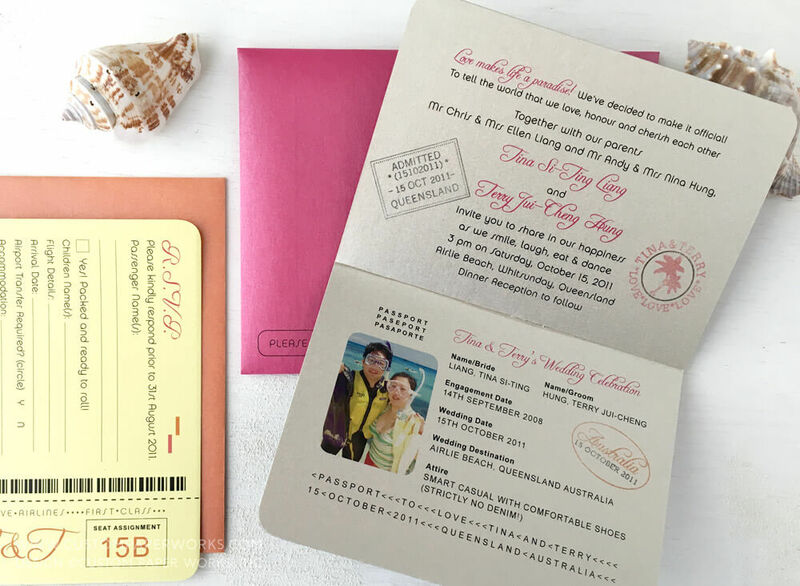 These colorful destination wedding passport invitations were designed with several client requests in mind to be sure they would fit the style and mood of THEIR unique celebration on Airlie Beach in Queensland, Australia. 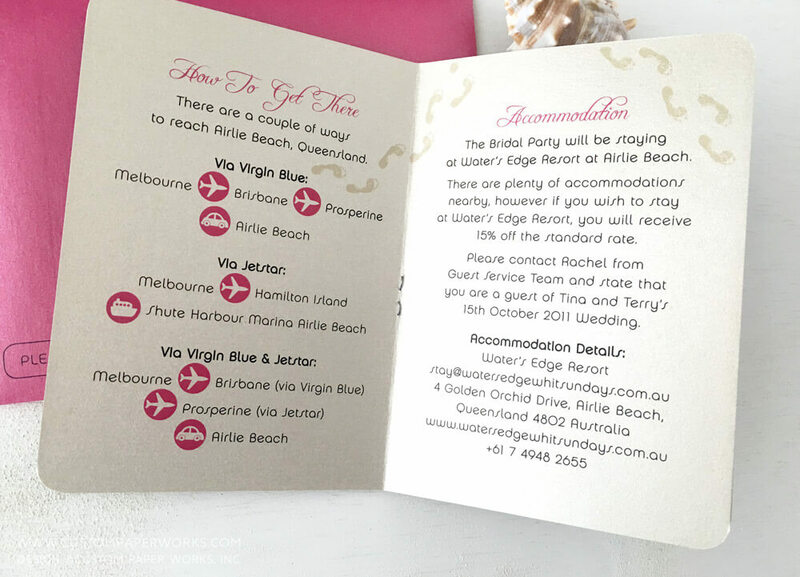 The requests: a double happiness symbol on the cover; bright colors; fun fonts, sandy footprint art elements; and icons on the travel recommendations page. 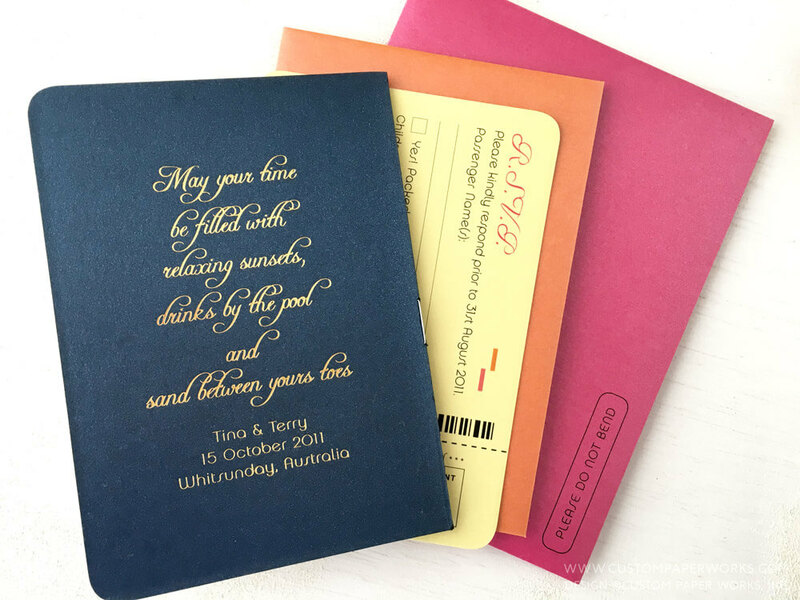 – Hot pink shimmer mailing envelope. 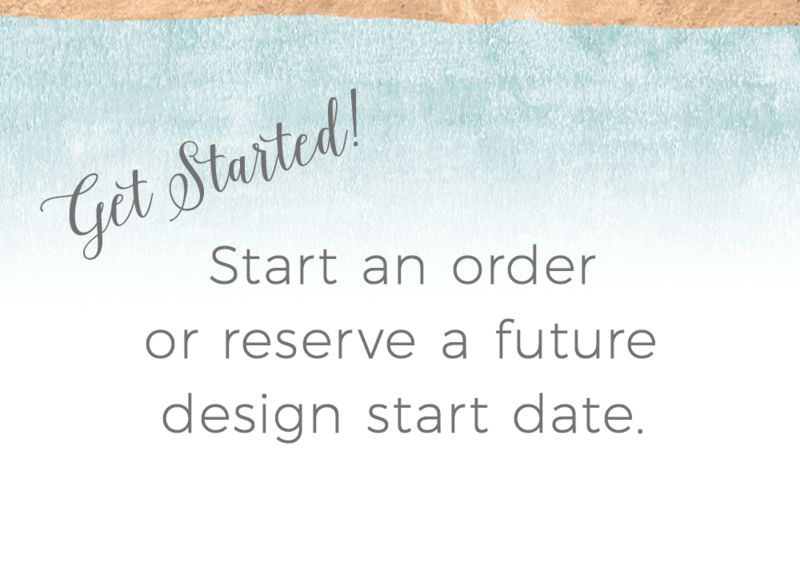 I selected a combination of fun, modern and beachy fonts and cute icons for the travel section which helped guests plan their transportation routes for their trip. 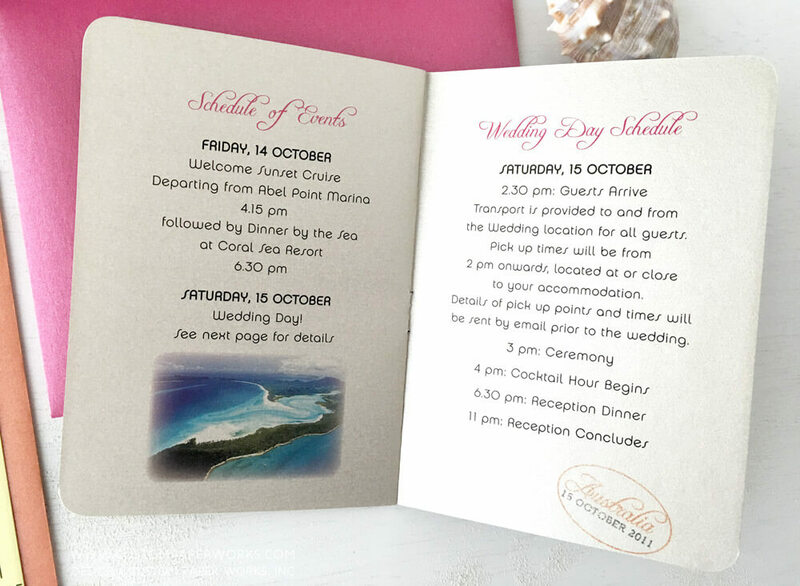 Including a schedule of wedding events in your destination wedding invitations is always helpful for guests so they know EXACTLY what other events they are invited to while on their trip. 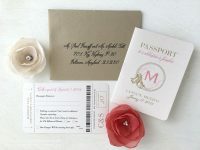 This is one of the most popular quotes selected for the back or inside of our invitations. I know it gets me ready to hit the beach! 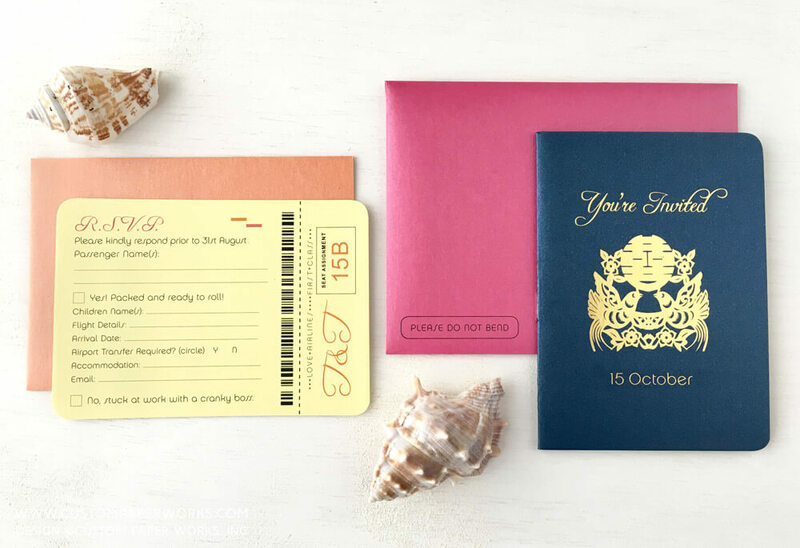 Inquire below and let me know exactly how colorful you’d like your beach wedding passport invitations to be! I love to work on unique color combinations!